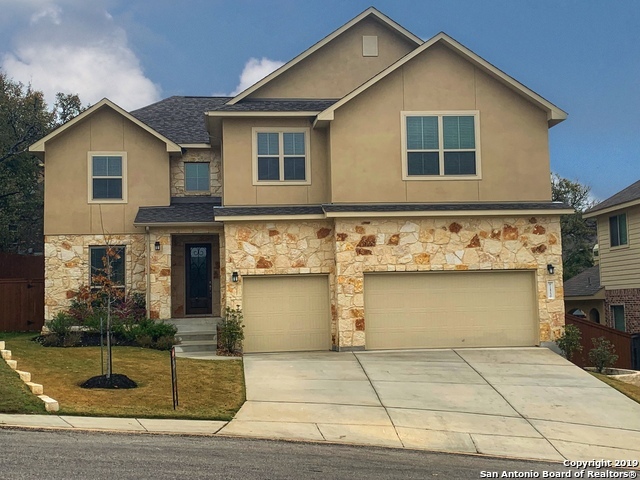 All TERRA BELLA homes currently listed for sale in San Antonio as of 04/24/2019 are shown below. You can change the search criteria at any time by pressing the 'Change Search' button below. 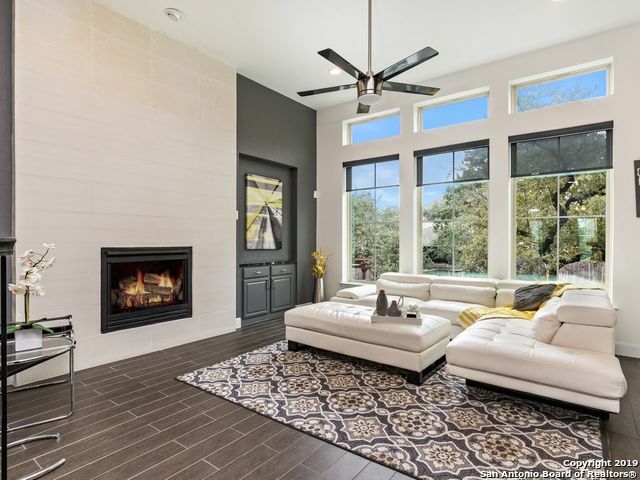 "Impressive designer contemporary finishes and extras abound in this family home in the prestigious gated comunity of Terra Bella. Kitchen is a chefs dream with designer color palette and fixtures, bright eat-in island kitchen with granite counter tops and stainless steel appliances. Gorgeous master suite with spa like master bath. Huge media room. Wonderful covered patio with outdoor kitchen, fireplace and mount for flat screen TV. The oversized backyard is perfect for a pool.NEISD Schools. 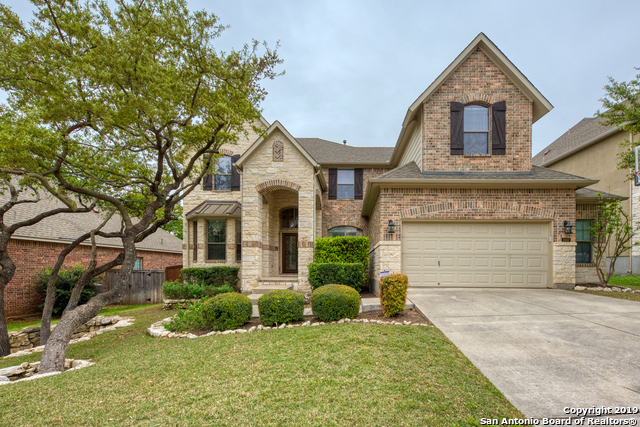 NO C"
"This beautiful two story home located on a cul de sac lot features a vaulted entry, formal dining, private study, large family room open to the kitchen and second dining area, covered patio and a master suite with corner bathtub, separate vanities and oversize walk in closet. Three additional bedrooms with walk-in closets are located on the second floor along with a large game room and media room. 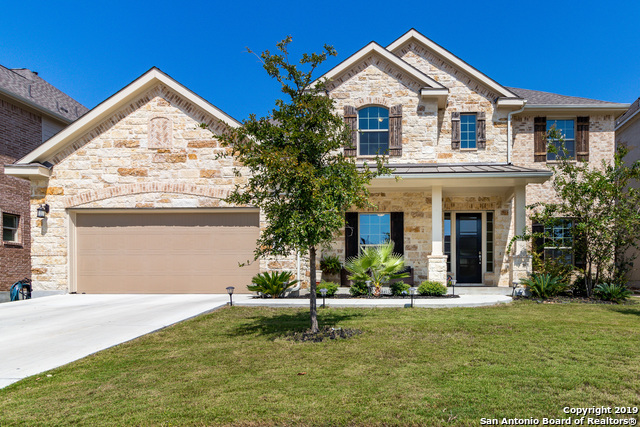 Located in the beautiful community of Terra Bella and NEISD schools! Available September 2019." "**NO CITY TAXES**WELCOME home to this entertainers delight! This home has it all with plenty of room for everyone and perfect for entertaining friends and family! *Energy savings with 4,000+ sq. ft. of luxury living in gated community* Owners retreat on main level with SPA bath and HUGE closet, open kitchen with granite, bonus, media room and game room. **New water softener** 3-Car Garage with plenty of storage for all the toys. All secondary rooms w/walk-in closets on 2nd floor. 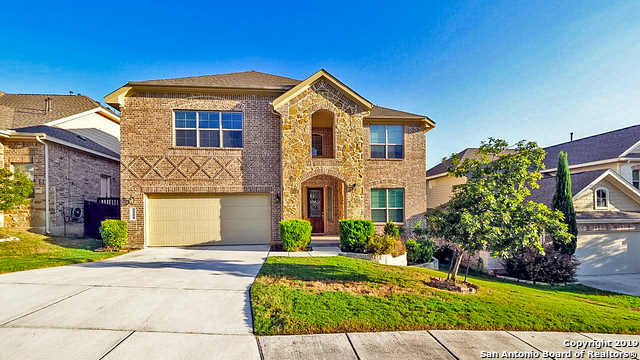 Top-rated NEISD"
"GREAT PRICE FOR A GREAT HOME in prestigious gated Terra Bella. Like New, only 4 years old (builder warranty). Beautiful high ceilings w/Juliet Balcony, hardwood floor on first level. Kitchen w/ impressive granite breakfast bar, 42cabinets. MB on first floor, walk-in closet, opens to a relaxing covered patio,outside kitchen,fireplace and arquitectural arches. Green belt behind backyard provides privacy. Guest room w/full bathroom. Upstairs: media room, game room and spacious bedrooms. 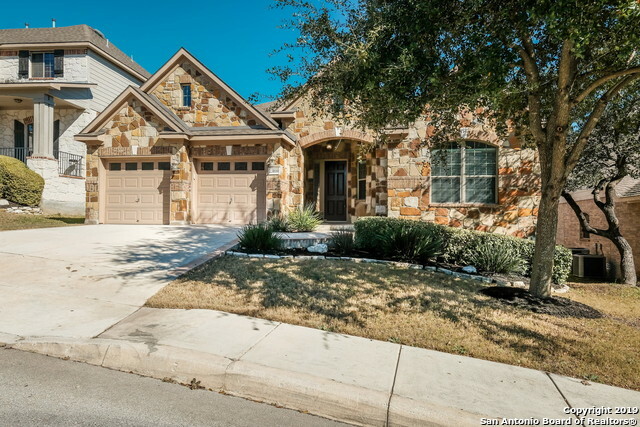 NEISD sch"
"Stunning Home in gated Terra Bella community. NO CITY TAXES. 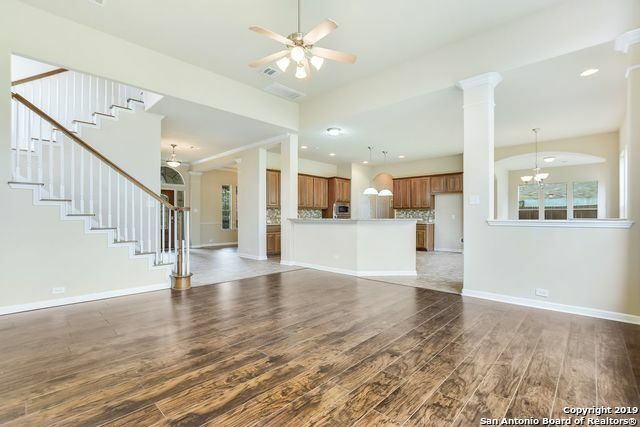 Extremely well maintained 5 bd/4.5 bth residence with soaring clngs in lvng area, gorgeous chefs kitchn w/large island & granite counters, gas cooktop, stnls steel appl, beautiful wood flrs, frplc, crwn mldngs, custm wndw cvrngs, 2 AC units, 2 wtr heatrs, water softnr, upstrs game rm, sep media rm, abundant closets, sprnklr systm, 2.5 car grge, big utility rm, wondrfl rear patio w/outdoor ktchn, frplce, clng fans. OPEN HOUSE SUN. 4/14 "
"Beautiful and immaculate home in the gated subdivision of Terra Bella. Expansive granite countertops in the chef's kitchen open up to the family room. 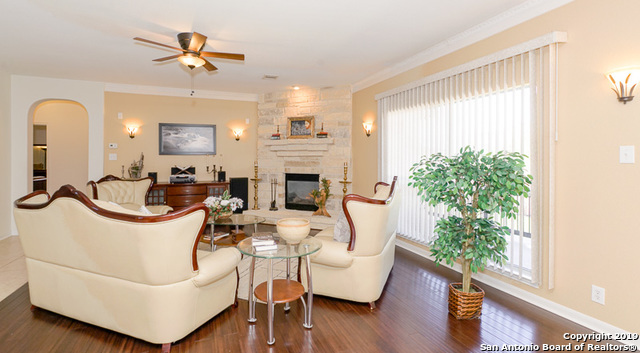 Enjoy the cozy fireplace, private office area, and spacious master retreat. With an exemplary school district, minutes away from shopping, and neighborhood amenities to include a pool, you will not need to go far!" 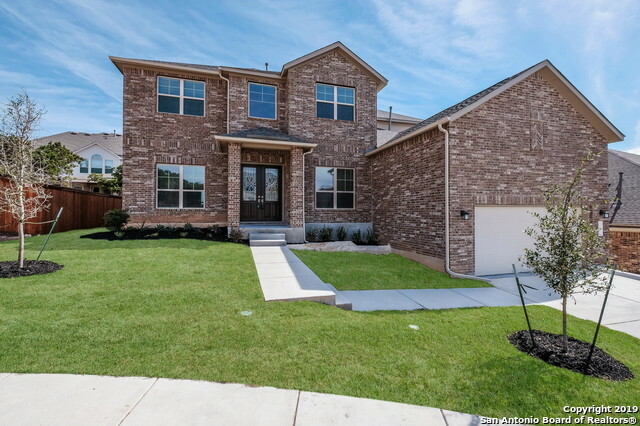 "Brand new Scott Felder home perfect for entertaining, sliding doors to the patio and dedicated media room, master down with lots of windows, 3 oversized car garage with lots of storage space in desirable NEISD schools close to the best HEB in town in TERRA BELLA subdivision. 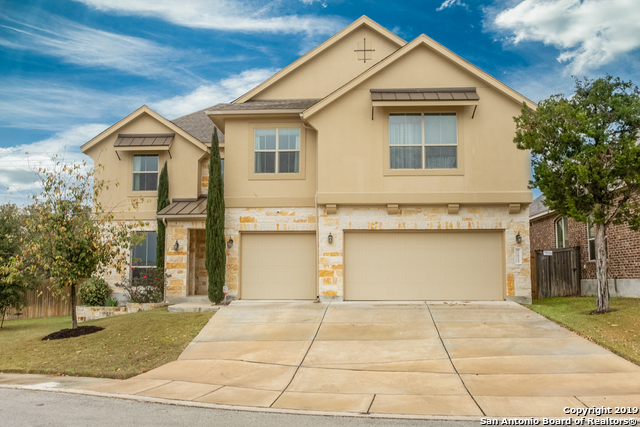 * The Paxton plan 2 Story 3,452 sq ft 4 bedroom, 2.5 bath 3 Car Garage * Beautiful two-story home with a large family room open to kitchen and casual dining * Grand master suite with two separate closets and much "
"MARVELOUS HOME ~ HILLTOP VIEWS ~ High ranked NEISD schools ~ Attractive night time LIGHTING ~ Master/Guest bed down, 7 additional rooms ~ ENERGY SAVINGS - Solar Panel / Radiant barrier, New Roof, Water Heater, LED lighting ~ Bamboo floors, Inbuilt speakers, water softener ~ GREAT OUTDOORS - Covered patio/balcony deck, NEW Landscaping ~ Spacious garage that can accommodate trucks and provide extra storage space ~ Nearby COMMUNITY POOL & CLUBHOUSE / Shopping & entertainment ~ YOUR DREAM HOME AW"
"Very nice 2 Story Luxury Home in the Exclusive Terra Bella Gated Subdivision. NO CITY TAXES, Open Floor Plan, High Ceilings, Lot's of Room for Entertaining, Living Room. 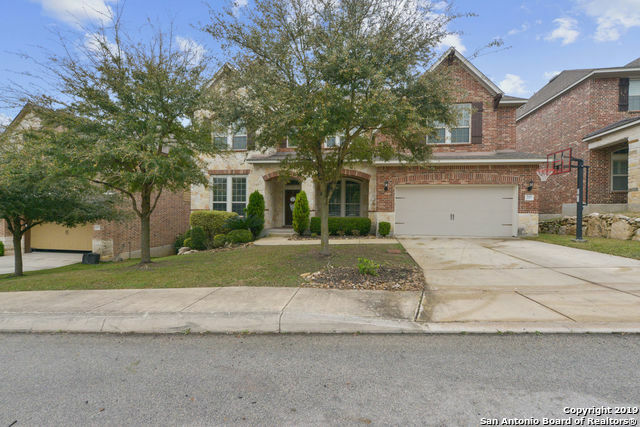 w/Fire Place, Media Room, Office, Dining Room, Game Room, Multiple Sitting Areas, Spacious Gourmet Eat-n-Kitchen w/ Stainless Appliances, 42 Cabinets w/ Spacious Granite Counter Tops. Enjoy a 25'x 12'Covered Patio w/ both Gas Grill & Fire Place. Long Vehicle or Boat & Motor, Storage, 35x 19 Tandem Garage. Pool, Club House, Playg"
"Impressive Scott Felder home situated on an oversized lot behind the gates of Terra Bella! This executive style home exposes an open kitchen w/ granite countertops, 42 cabinets & stainless steel appliances. Gleaming hardwood floors, NEW carpet & fresh paint make this beauty turnkey! Ample room for family & friends on this covered patio & deck, make entertaining a breeze! 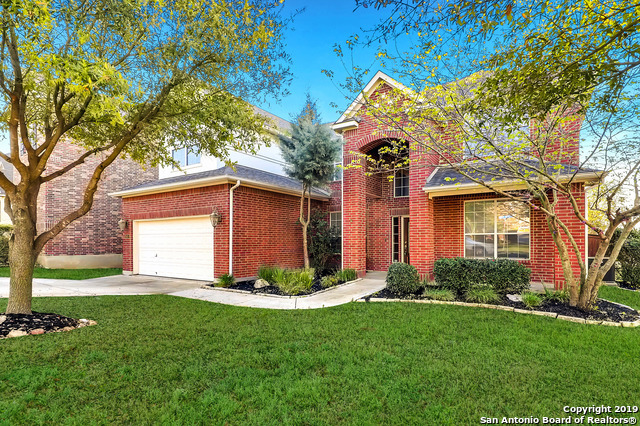 Conveniently located close to shopping, major highways, medical/professional services, excellent NEISD schools & downtown S"
"Meticulously maintained home w numerous updates. Great natural light. Kitchen opens up to the family room w great views to the outdoor pool. Tile & wood floors throughout the entire downstairs. Great bar area added with built-ins & wine frig. Separate study down. Large master with huge walk-in closet & separate vanities. Three bedrooms & 2 baths, plus a large game room upstairs. Tandem 3 car garage or optional storage. Backyard has added privacy. NO CITY TAXES! And great proximity to HEB!" "A stately residence nestled amongst verdant trees. The traditional design & splendid interior craftsmanship are just a few bonuses of this 5-bed, 3.1-bath home boasting 3,510SF. The first floor offers a studious office, master suite & gleaming master bath. The upper level provides you a light, airy loft & media room. The pristine kitchen features granite counters, backsplash & ceramic decor above the gas range oven. Covered patio & generous 3 car garage are the final touches on this Move in Read"
"*Beautiful 2 story home in Terra Bella. Large living areas throughout the home with dark wood flooring. Two living areas, one can be used as a game room.Eat-in kitchen with stainless steel appliances, island, and breakfast bar. Spacious Master Bedroom with large bathroom w/ separate shower and tub." "Gorgeous 2-stry stucco/stone/brick home in the gated subdivision of Terra Bella in culdesac & backs to a greenbelt. Offers 4 bed, 3.5 bath, study/office, & game room. Open floor plan w/high ceilings. Living rm w/gas fireplace. Stunning kitchen w/island; B/I microwave & SS appl. Spacious master w/large picture windows. Large master bath w/sep walk-in shower/grdn tub & dbl vanity. Spacious bdrms w/vaulted ceilings. Bckyd w/large covered patio; NEISD Schools; Close to retail, entertainment & medica"
"Beautiful 2 story 4 bedroom 3.5 bath home located in Terra Bella-Open floor plan-High ceilings-Master bedroom downstairs-Master bath with dual vanities and garden tub-Separate Shower-Great Kitchen with Granite Counter tops-Island-Breakfast bar-Walk in Pantry-Lots of Storage-Formal Dining with wood floors-Family Room with fireplace-Loft upstairs-Large Media Room-Lots Of natural light from all the great windows-Front and back yard Covered Patio"
"Spectacular 3 bedroom with bonus room upstairs ~One story feel with all bedrooms down. Beautiful covered porch and entry ~ Gathering island kitchen, granite, gas cooking , open to family room w/entertainment alcove ~ Separate dining with buffet arch ~ Gorgeous lighting fixtures, trey ceilings, wrought iron accents ~ Covered patio with extended entertainment area with beautiful landscaping for great outdoor living ~ Attic has great space to store all your treasures ~No city taxes ~ come make this"